Tim Ereneta – Bringing Storytelling to the Fringe. Press Play to hear Storyteller Tim Ereneta talks about how he brought Storytelling to the Fringe on the Art of Storytelling with Brother Wolf. 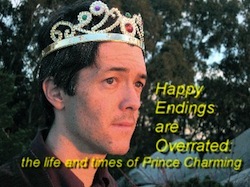 Here’s the best thing about a storytelling performance in a Fringe Festival: I don’t have to wait to be discovered. I don’t have to worry about offending my host with my material. The stories that I want to tell, whether they are sacred or profane, personal or traditional: it’s all up to me. I get to decide what I want to put onstage. Such artistic freedom is exhilarating. Here’s the worst thing about storytelling performance in a Fringe Festival: the audience gets to decide what show they want to see. The stories that I want to tell: there is no guarantee that audiences will want to hear them. 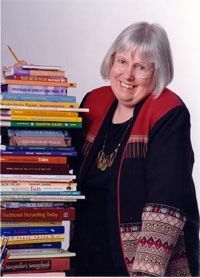 Angela Lloyd – The Listening Way of the Storyteller. 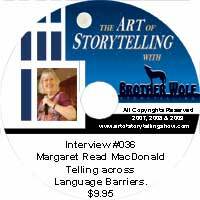 Press Play to hear Angela Lloyd talk about the Listening Way of the Storyteller on the Art of Storytelling with Brother Wolf. Eric Wolf and I met for this interview in the lobby of the Warner Center Marriot on Friday, July 30th, 2010 at 7 AM. We were attending the bi-annual National Storytelling Network Conference in Woodland Hills, Ca. I mention this so you can see the landscape, and note the time, for these are details that I value as a listener and worker of the word. What you will find here as the conversation unfolds is a dialogue focused on a number of themes close to my heart. 1. How the teller listens in various ways to the story they are telling. 2. How the structure of a story plays a large part in understanding its path. Ruth Stotter – Working with Props (and string) in Storytelling. 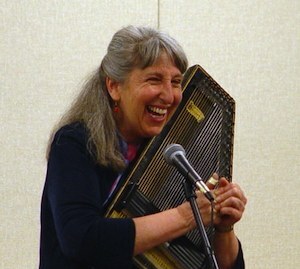 Press Play to hear Ruth Stotter speak on working with props in storytelling performances on the Art of Storytelling with Brother Wolf. Catherine Burns – Artistic Director of The Moth – Diamonds in the Rough – Coaching New Storytellers. Press Play to hear Catherine Burns who is Artistic Director of The Moth speaking on diamonds in the rough, coaching new storytellers on the Art of Storytelling with Brother Wolf. The Moth is America's #1 storytelling podcast with over 600,000 downloads a month and at least 100,000 listeners. 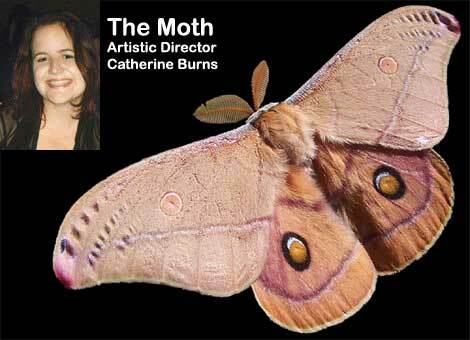 Catherine Burns is one of the minds behind the curtain at The Moth storytelling main stage in NYC and LA. 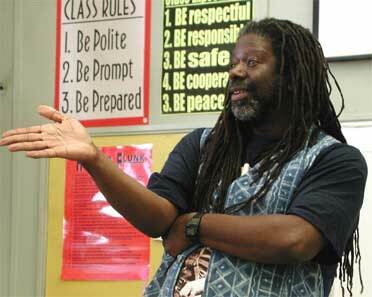 Fill out the form and press play to hear Michael D. McCarty speak on literacy and storytelling in the 21st Century this interview on the Art of Storytelling with Brother Wolf. Storytelling and literacy in the 21st century. That which does not evolve dies. The ability to change, grow and adapt is essential to the survival of any species, society or ideal. Storytelling has been around since the dawn of man, which says a lot for the viability of this essential art form. Throughout human history stories have been used to inform, inspire, educate and more. Storytelling is part of our DNA.